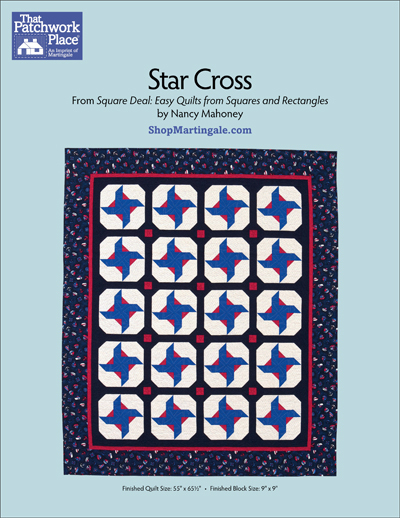 Seafaring quilters, it's time to set sail! 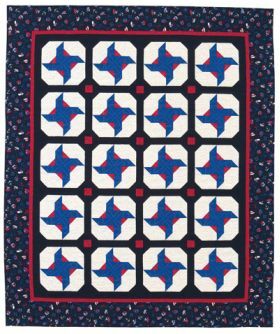 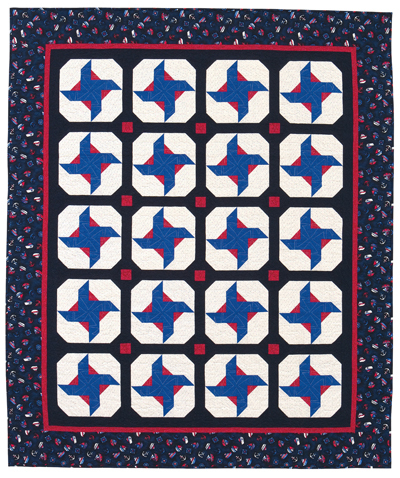 Easy-to-sew blocks in red, white, and blue are set against a dark sashing, where cornerstones resemble knots or cork floats. 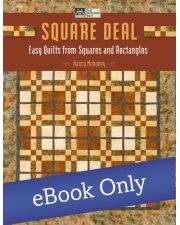 Only squares and rectangles used here--no triangles to cut or piece.